KTM often produce some special "mid season" bikes and this year is no exception. 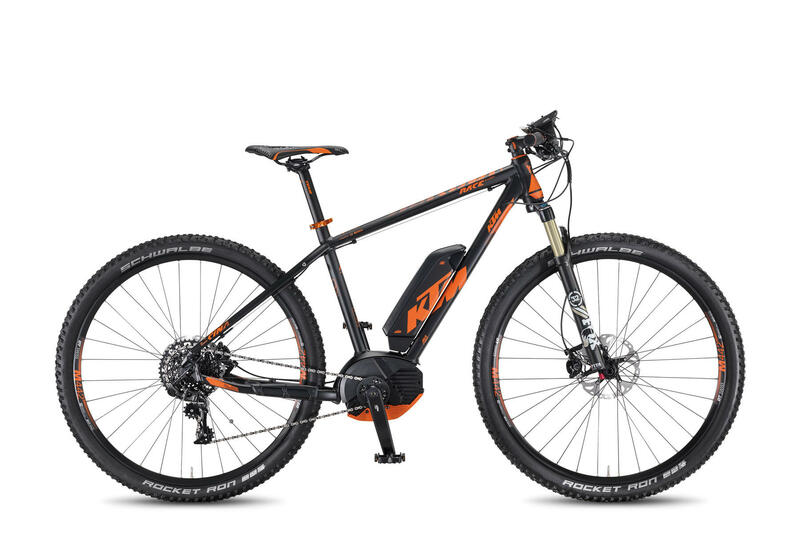 The hardtail range of KTM eBikes have always been popular and this year they sold out in record time. So if you can find one in a dealer you're doing very well! To help our dealers get more stock to meet demand KTM have produced this new model. The bike is almost idential to the existing Macina Race, but as its lacking the + in the name it means this new model does not come with the Nyon Display. Instead this model is aimed more at the mtb pureist who doesn't need all the functions of the NYON, and is therefore equipped with the standard Bosch Intuvia display. These bikes will not be in stock with KTM for long, so if you're looking for a new eMTB and this takes your fancy, please don't think about it for too long, we'd hate for you to miss out. 27 or 29 in wheel options are available and both come in a variety of frame sizes.